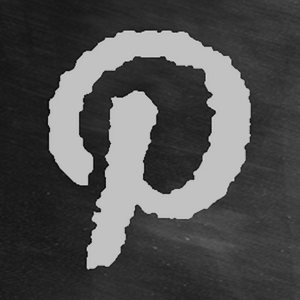 Are you wondering how to maximise your success on Pinterest and really showcase your products well? Would you like to add value to your products and sell more accessories. I believe if you can create “moodboards” where you put a whole look together – be it for fashion, interiors, kitchen accessories – more people will be inclined to buy more than one item. Look at the fashion moodboard pin below – not only does it suggest walking through fallen leaves on a crisp winter’s day, I’m also imagining the comfort of wearing cosy, “smart casual” jeans, cardigan and scarf, snuggling up in front of an open fire after Christmas lunch and watching the Downton Abbey special. The image and the description work well to create that connotation in my mind and would encourage me to buy more of that outfit. See how many repins it has achieved, that is bound to have delivered good traffic to the website. It is relatively easy to create such moodboards in Polyvore, save the image and post it in a blog post. 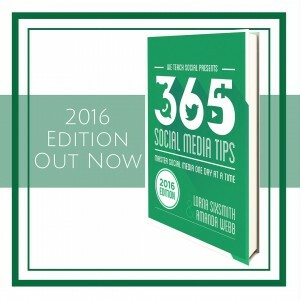 You can then pin it to Pinterest, driving more traffic to your website. As you ‘clip’ the images to Polymore from your website, all the of items retain the link to your website pages where they can be purchased. How can you create an image like that? I’m going to show you how to do it using Polyvore. Sign up for Polyvore (you can do this very quickly by logging in with your facebook account if you wish), click “create” in the nav bar and opt for “set”. This will allow you to create a collage, similar to the one above. It will present you with a number of suggested items to use on the right hand side. These are items uploaded by other users, many of which will be fashion or interiors shops. For the purpose of this exercise, I am going to use pet products from two pet stores to create the perfect hamper of goodies for a happy pampered dog this Christmas – a dog that will be fit, healthy and loved. 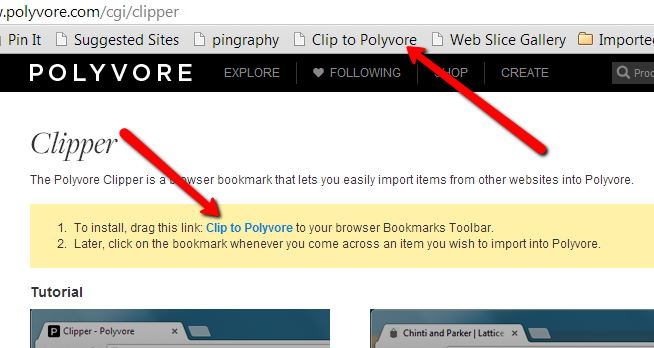 You need the “clip to Polyvore” bootmarklet on your toolbar to clip your own ecommerce items onto Polyvore. 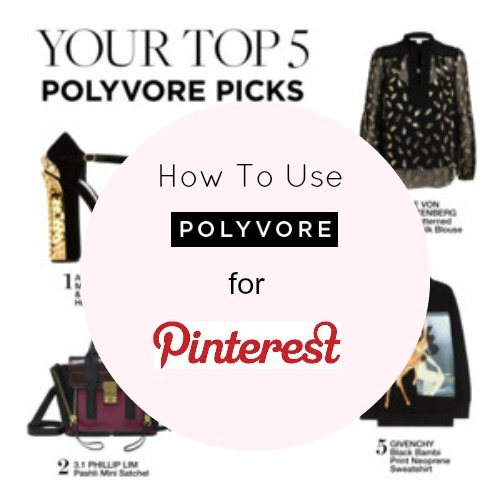 Go to your website, to a product page and simply click on “clip to polyvore” in the toolbar. If the image is too small, it won’t clip by the way so do bear that in mind when uploading images to your website. After having selected “Create” and “Sets”, click on “my items” and you will see all the images that you clipped to Polyvore. You can then click and drag the relevant ones across. There are lots of ways to manipulate the images. If they have white space around them, you can omit it or crop it out, you can rotate the images, clone them, pull them forward or backward. You can then publish it (just bear in mind that if you logged in using facebook, you have to untick a box so it won’t share to your facebook profile). To find it again, go to your name on the top right, and click ‘my sets’ in the drop down menu. You can edit it further if you wish and add more descriptors. You can then save it to a blog post. There are different options for this too, for example, you can choose to have all of the items listed underneath the image with an inbuilt link to each. 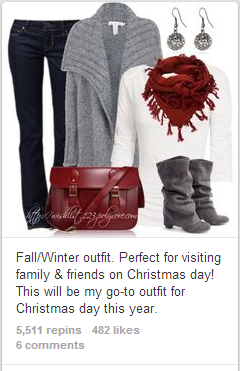 You can pin it from the Polyvore page but I would recommend to pin it from your blog post or website. You need to drive the traffic to your website rather than Polyvore. Polyvore is used mostly for fashion and home items so if you have an ecommerce store in either of these areas, you should definitely be using Polyvore. Others may use your items in their moodboards and the item always contains the link (as it was clipped from the website). I hope that makes it clear. This is a great tool for creating moodboards for all kinds of themes – gifts for a pet as we did here but you could also use it for recipe ingredients, book guides, suggested make up, kitchen accessories, children’s toys, baby essentials, gardening tools …… . For me, the number one plus is that it can only add value to a sale. As in the clothing example above, shoppers will be more inclined to buy the top, the scarf and the earrings as well as the jeans and the cardigan. Will you use this in addition to your Pinterest account? I’d love to hear your thoughts. 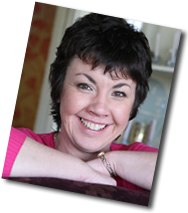 If you would like to learn how to use Pinterest more effectively for your business – our Advanced online course starts on 21st October. Hi, you can either save the picture as a screengrab if you like and then upload it as a pic to your blog. Alternatively pin it from polyvore but change the link in the source box of the pin (click on the pencil icon on the top right of the pin when in gallery page) to your website so when people click on it, it brings them to your product pages.